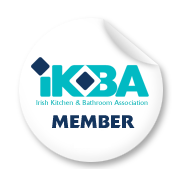 The IKBA has introduced a set of Kitchen Design and Planning Codes (KDPC’s) for professionals working in the Irish Kitchen Industry. The codes are based on best international practice and are inclusive of all EU and Irish Building Regulations pertaining to the kitchen industry. The IKBA Technical guidance course is a one day awareness programme which takes attendees step by step through each of the Kitchen Design Planning Codes. Each code will be explained and illustrated and the current legal requirements for Irish Kitchen Professionals will be clearly highlighted. Members of the IKBA are required to have a permanent staff member attend the course. Kitchen companies who are not IKBA members are also strongly advised to attend the course to be made aware of current legal obligations and future EU regulations. The course is free to current IKBA members and the fee for non members is €195.00 per attendee. Course details will be published here in the coming days so please check back for details.